Dr Aideen O’Doherty is Programme Manager and Clinical Trial Manager within the HRB-CRFG (Clinical Research Facility Galway). 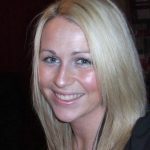 She has previously worked as Programme Officer and Research Coordinator for NCBES, Molecular Medicine Ireland (MMI) and HRB Clinical Research Facility, National University of Ireland, Galway. She has educational qualifications in biotechnology, molecular genetics, project management and clinical research. 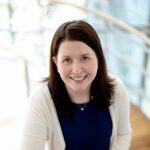 As Programme Manager, Aideen is currently tasked with strategic policy decision making, contribution to funding applications, preparation of interim and final study and programme reports, coordination of resources within the CRFG and liaising with NUIG and external study and programme stakeholders. In addition, Aideen manages the National Leader’s Office for Ireland and the UK, for a large multicentre clinical trial and a Masters programme in Clinical Research with NUI Galway.